Doing up your kitchen can feel like a huge undertaking when you begin - where do you even start? 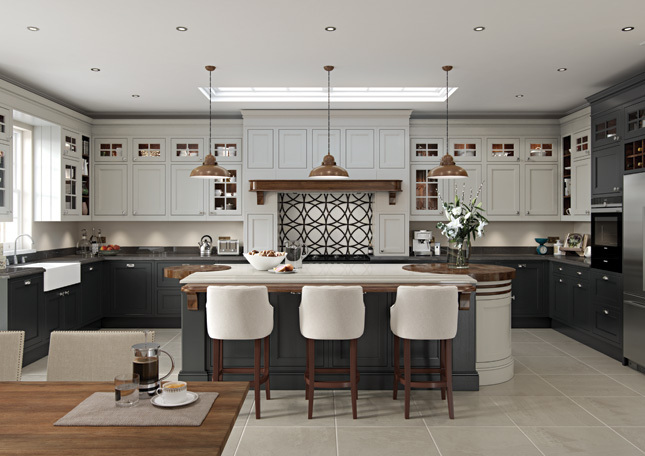 Finding a trusted kitchen supplier is one of the most important steps in the process, as you'll be working closely with them to create the kitchen of your dream. With that in mind, we tracked down some of the best of the best Irish kitchen suppliers from across the country and pulled together our Nationwide Kitchen Guide for 2018! 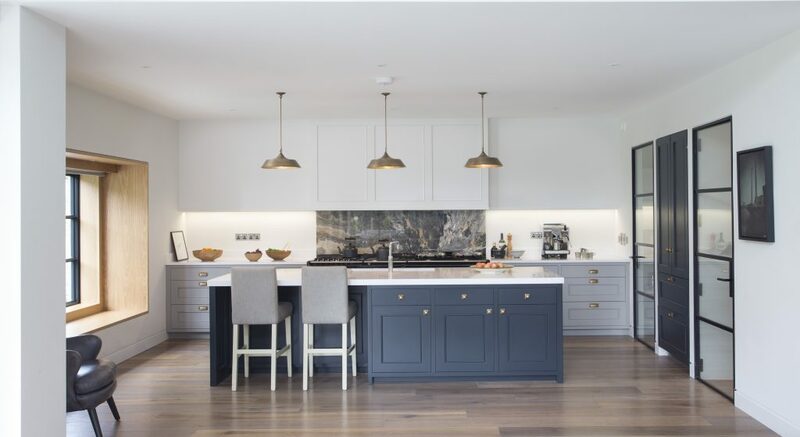 We've organised them by county so it's easy to find the ones closest to you, and we asked each of the kitchen suppliers to offer you a little advice on getting started and the big trends, to start you on your way. 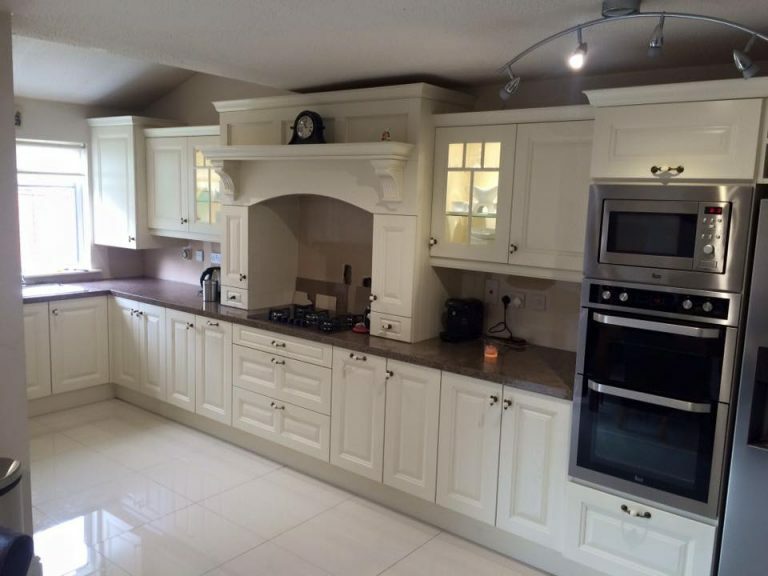 Newhaven Kitchens and Bedrooms design, make and appoint kitchens and wardrobes throughout Leinster. Conveniently located on the outskirts of Carlow Town, it's just a few miles from junctions four and five of the M9. The team there are small with decades of experience, and will work with you every step of the way, from your initial design meeting right up to your kitchen's completed installation. If you're working on more than just your kitchen, Newhaven can provide complete home packages including wardrobes, utility rooms and other bespoke furnishings. What kitchen brands do you stock? 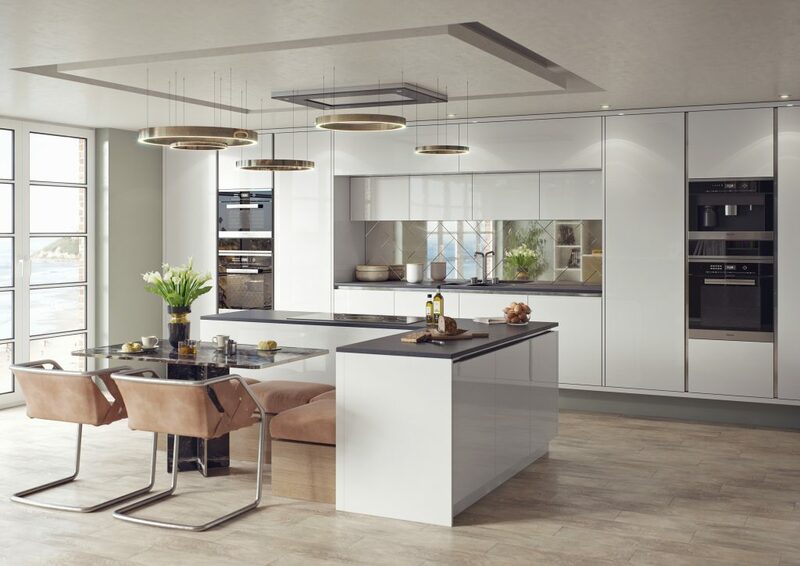 "Newhaven Kitchens work with multi-award winning, recognised kitchen brands such as: Aisling Furniture, BA Components, Springhill Woodcrafts, Blum, Grass, Kessebohmer, Wesco, Cambria, Silestone, Compac, Topform, Carron Pheonix, Abode, Franke, Villeroy & Boch, Smeg, Rangemaster, Liebherr, Hotpoint, Luxair, Faber, Neff, Bosch, Siemens, Insinkerator." What do you see being the big trends in kitchens for 2018? "A return to woodgrain or oak – but in a much funkier way! Going to mid-colour or darker worktops – be that concrete effect laminates or grey/black/veined quartz. Definitive and daring colour choices. The continuing dominance of pantry presses – often including gadget space and power within the press. Islands – as vast as possible!" How should people approach looking for a new kitchen? "The kitchen is the most important room in a home – so expect to spend a bit of time researching it, specifying it and making choices. Work with a kitchen specialist that can give you the end result you want. They should have: practical experience, choice, demonstrable quality, design expertise, solutions & ideas, and qualified fitters. There should be no hidden or additional charges. You should feel at ease working with your provider – this is a big investment and you need to be able to work together comfortably throughout your project. How we work is explained on our website – but it starts with booking a meeting with us in our showroom – where we establish the brief for your dream kitchen." 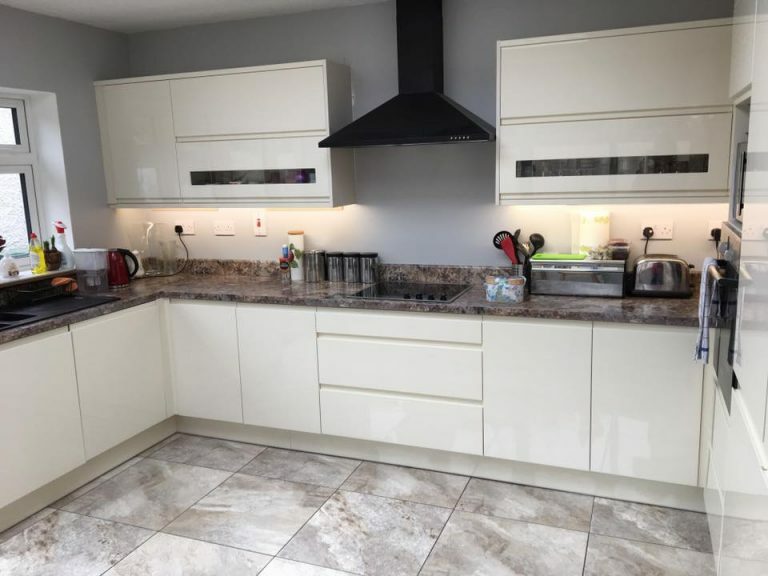 You can find out more information about Newhaven Kitchens and Bedrooms on their website, or catch them on Facebook and Instagram to see more completed projects. 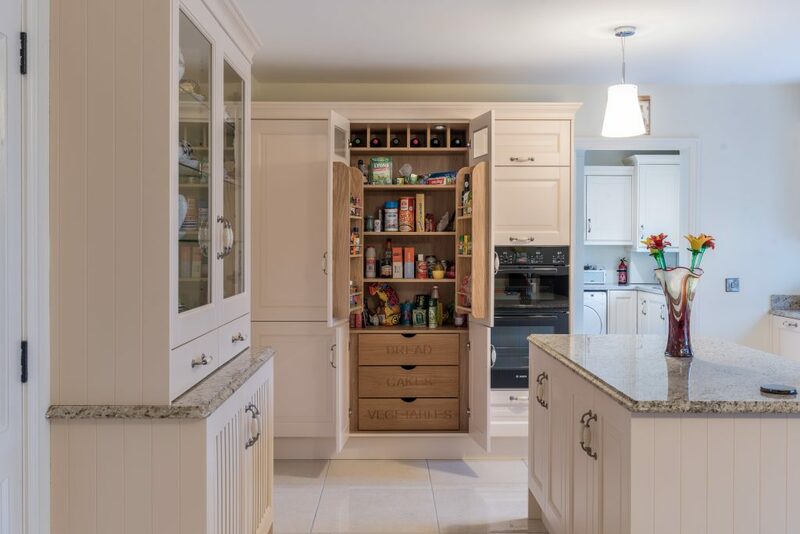 With over 15 years of experience, Frank O’Dea Carpentry's mission is to offer customers the option to have one point of contact for both fitted furniture and internal joinery. This results in a much better working relationship and less stress for the client. It also ensures a clean crisp finish throughout the house as attention to detail, quality products and outstanding craftsmanship. 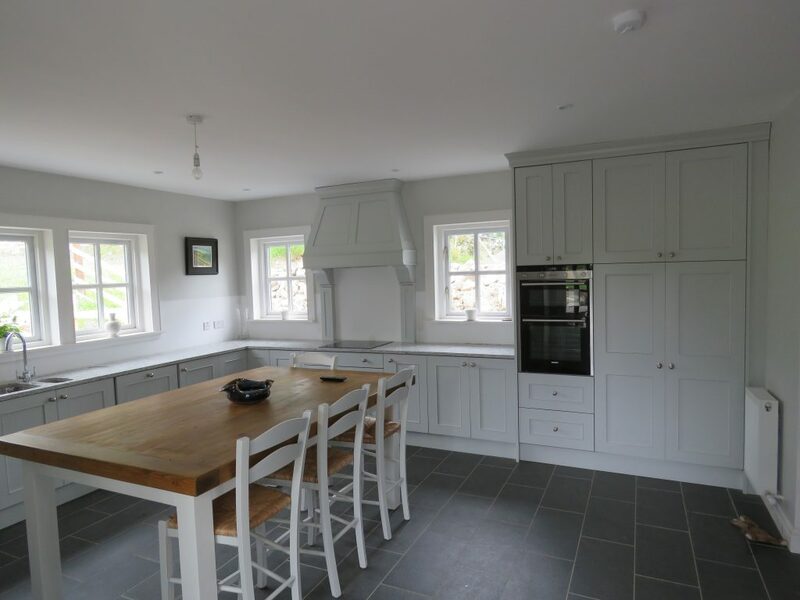 They do everything from bespoke, handmade fitted kitchens to wooden floors, so they can cater to all your carpentry needs. "Don’t approach a designer with an image of a particular kitchen you have fell in love with from a magazine. Instead it is important to make the designer aware of the space available so that they can take things such as appliances into account. When all things are considered/made aware from the start of the process it makes it much easier for the designer to deliver on a kitchen that will match the expectations of the client. I believe that there are three certainties in every house - 1) Guests enter through the front door; 2) First thing they see is a stairs; and 3) First room you bring them to is the kitchen. People spend a lot more time in their kitchens than they do other rooms in the house and as such it is vital to spend some time at the beginning of the process considering everything that needs to go into the design in order to ensure that the end product is a kitchen you are happy to spend your time in." How can people ensure they're picking a kitchen that will last/won't go out of style? "Unfortunately, like everything else kitchens will inevitably go out of style. Trends go in circles and a kitchen that goes out of style will more than likely make a return in time. However, I believe Oak is the only timber that never seems to age." 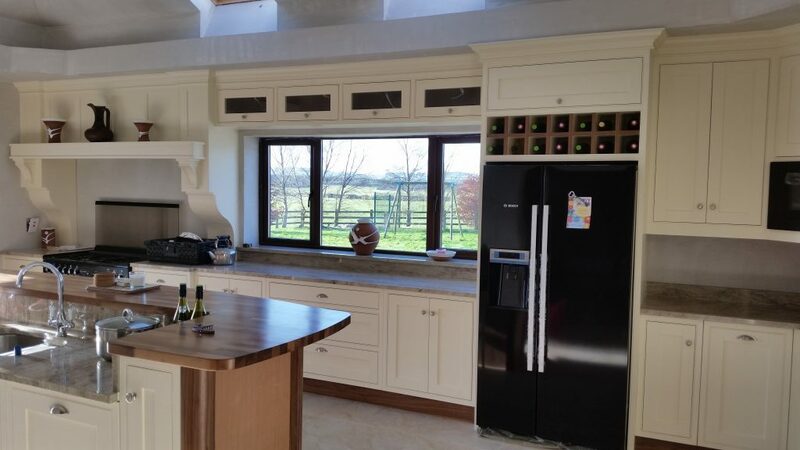 Cherrymore Kitchens and Bedrooms are 22 years in business, and have five locations across Ireland, including Oranmore, Galway; Donegal Town; Ballyboffey; Castlebar and Athlone. They pride themselves on keeping all their showrooms up to date and they have large full size kitchen displays. 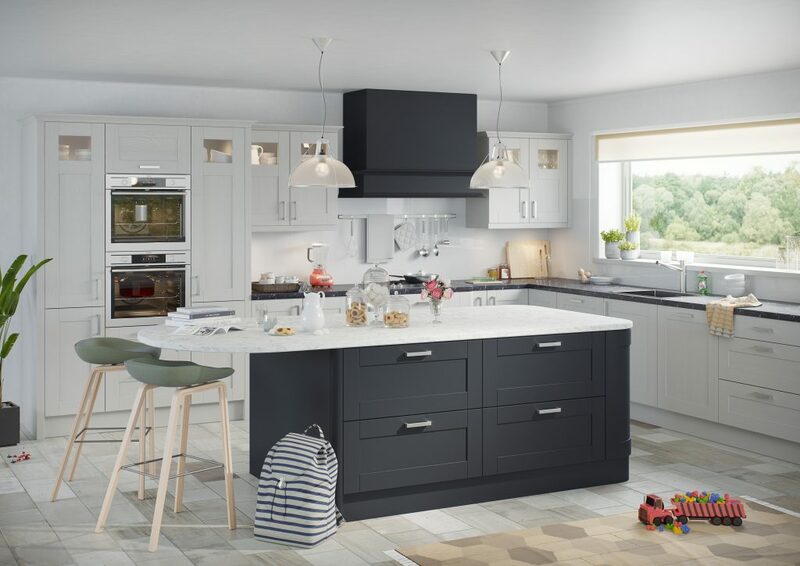 They offer a wide range of kitchen finishes including solid ash painted in a choice of Farrow & Ball paint colours, solid oak and HDF painted options. They also have our own range of acrylic contemporary kitchens in a choice of finishes including handleless for that ultra modern home. 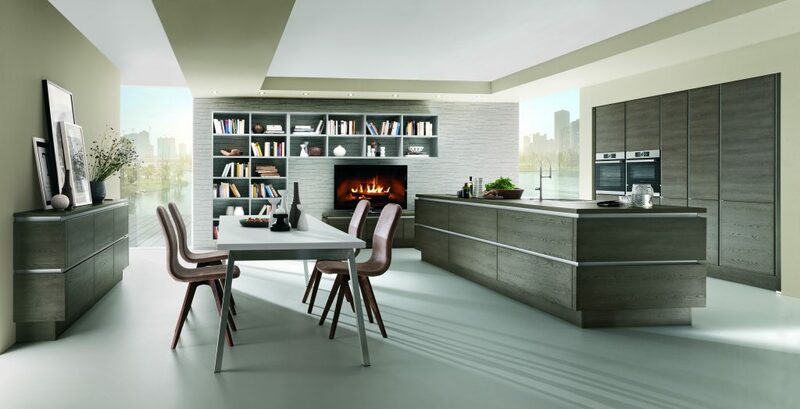 They bring together German engineering with a hint of Italian design flair but most importantly, their kitchens are Irish Made directly by their team. Cherrymore manufacture directly in their 100,000 sq ft factory where they use the most up to date computerised machinery to guarantee precision and quality. "At Cherrymore, we manufacture everything directly. For internal accessories/sinks/taps etc, we use Blum , Kessebohmer, Webert, Chambord, Hafele brands. For worktops we work with Silestone, Dekton, Santa Margherita and numerous granites.  For appliances we use Hotpoint / Kitchen aid range of appliances." "For 2018, we expect the modern painted shaker and flat handleless doors to remain at the forefront. There will be a lean towards matte finishes rather that hi-gloss. Islands with incorporated tables/seating booths will prove very popular to tie the kitchen and dining areas together. Boot room areas are getting more and more popular especially for young families." "To ensure your kitchen stands the test of time keep your style simple and neutral. Avoid overly fussy finishes and very detailed mouldings. Keep the kitchen colour light e.g. off white. Then to add the splash of colour through accessories e.g. Orange / Navy bar stools at island, coloured glass splash-backs, paint the background wall a feature colour e.g. hague blue/downpipe. By doing it this way, as colour trends change, it is easy and cost effective to change the overall room visual without changing the kitchen unit colours." You can find out more information about Cherrymore on their website, or catch them on Facebook to see more completed projects. Find their showroom at Oranmore Business Park in Galway, or at Ardlenagh, Lurganboy in Donegal Town. 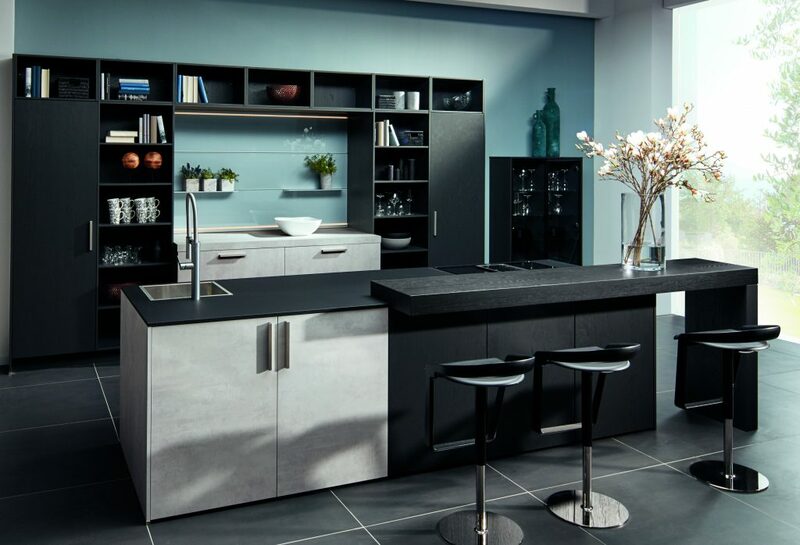 Dublin Kitchen Studio supplies and fit classic and contemporary German kitchens. These sleek, modern kitchens come in a range of colours and designs to suit your tastes and compliment your home décor. Clean lines, modern design and high quality materials are main elements for a new style of furnishing. 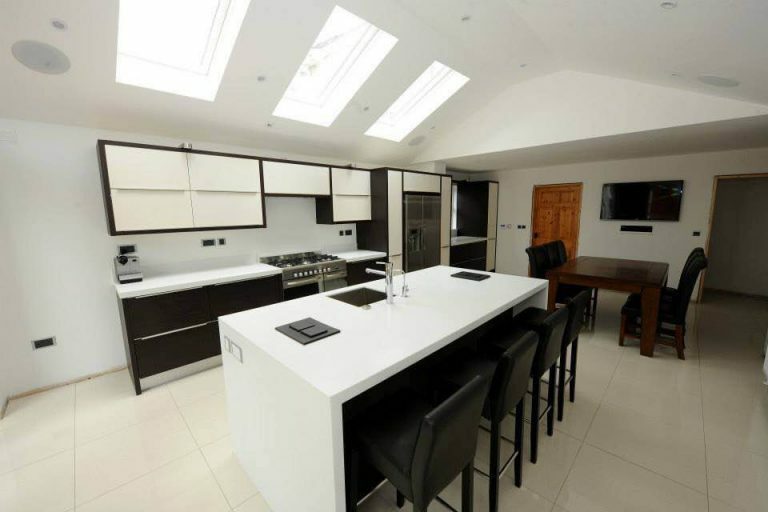 Their team is highly skilled and provide a complete, professional service from site survey and 3D kitchen design through to installation. "Matte, dark, rich colours like Black, Stratus Grey or Dark Blue combine with wood effect elements. Handleless fronts, with touch and open system." 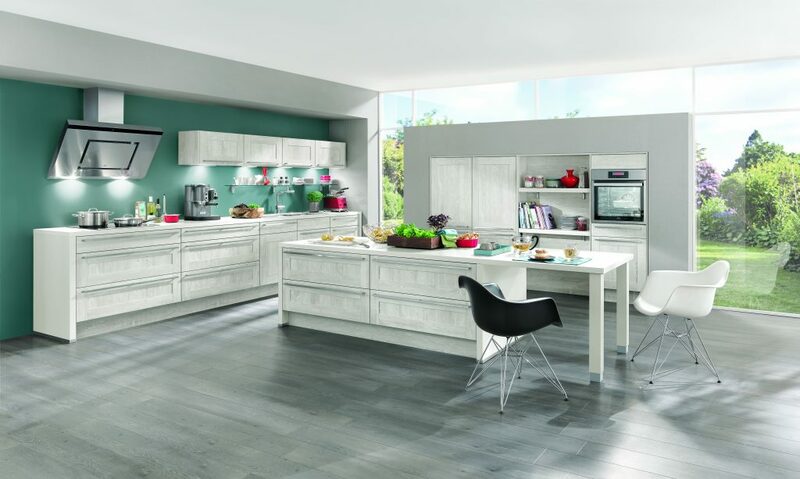 "Knowing their lifestyle and needs is very important as kitchen design need to be suitable for everyday living." "Follow the design principles and choose timeless, neutral colours. Clever balance of ergonomics and functionality with stunning design will never go out of style." 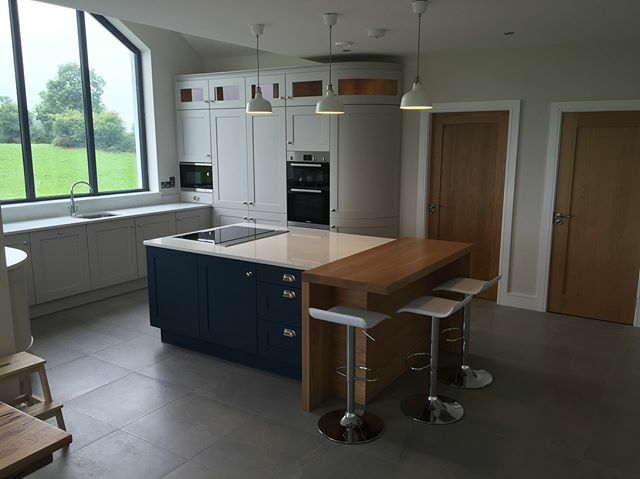 You can find out more information about Dublin Kitchen Studio at their showroom on 25 Grange Road, Rathfarnham, Dublin 14, or catch them on Facebook to see more completed projects. 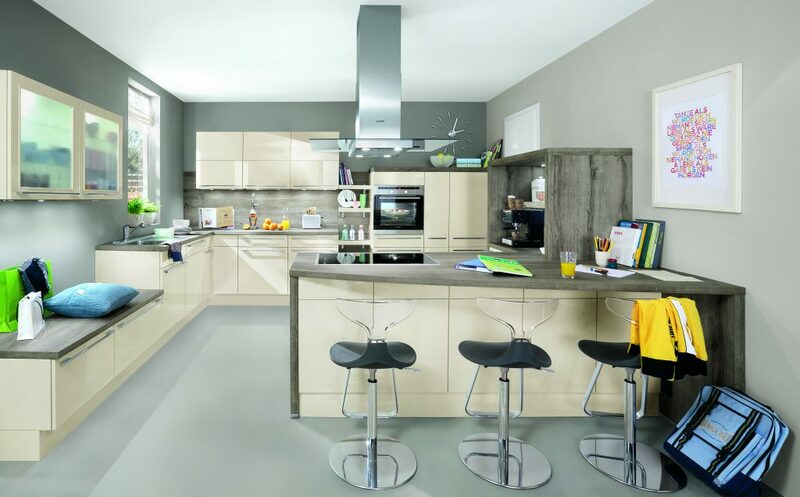 Timebercraft have been supplying intelligently designed stylish kitchens for 35 years. At the centre of everything for Timbercraft is quality, in planning, in production, in order processing and in customer service. They only use the finest products and materials from eco-friendly, managed forests, with PEFC seal for the use of wood materials from sustainable forestry. 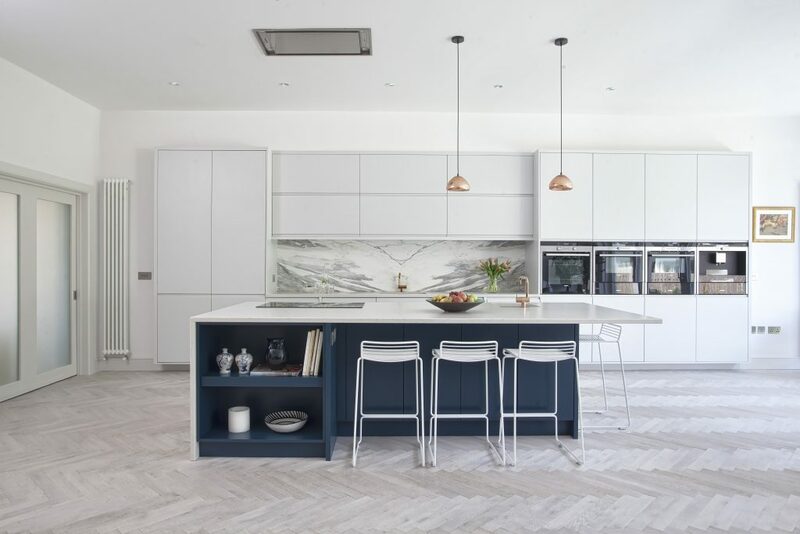 Through innovative, creative, mindful design and planning, they provide a range of kitchens, cabinet doors, worktops, kitchens islands, along with an array of matching products, set the trends of today’s demand for modern living. "Two tone colour schemes, clean lines, handle-less kitchens." "Think carefully about the use of available space, look for quality features at competitive prices." "Choose lacquered finishes, durable work surfaces, pull-out features, and quality above price where possible." You can find out more information about Timbercraft on their website, or catch them on Facebook to see more completed projects. Fine their showroom on the Athgarvan Road in Newbridge, Co Kildare. 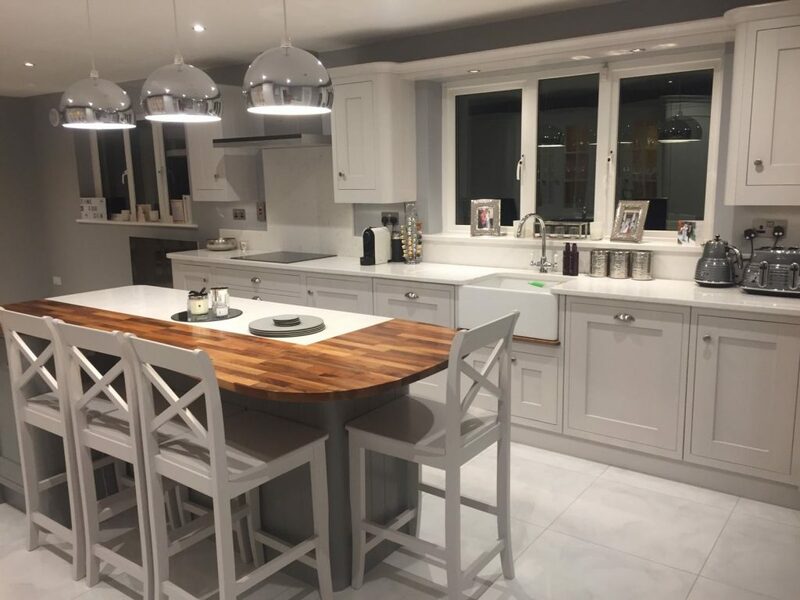 A family run business of over 40 years, Richard Power & Sons specialise in bespoke kitchens, solid wood, painted and composite doors. They also work in bedrooms, living rooms, sliding wardrobes and stairs, and they manufacture for customers across Ireland. 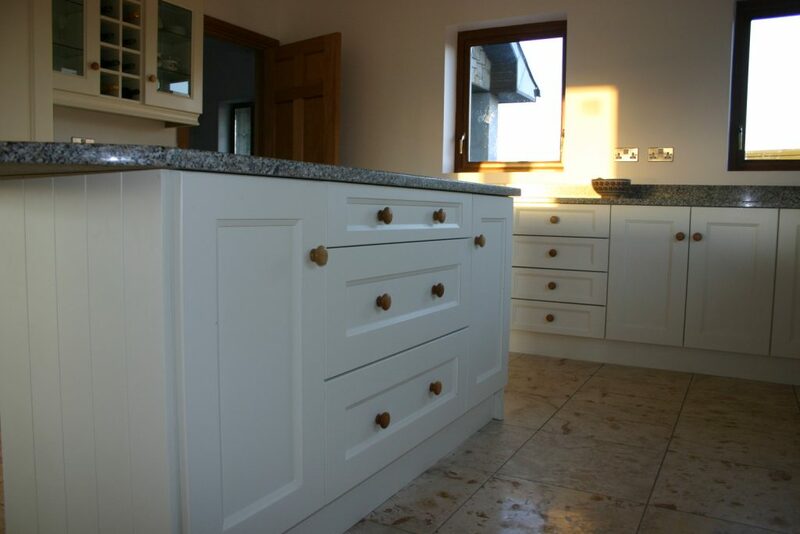 At their workshop, they manufacture high quality, bespoke cabinetry made and fitted to suit your needs. "When designing a kitchen, our first priority is to get an under standing of the lifestyle and uses a kitchen needs to support. We then map out a layout and flow. Designated areas always work best when designing the flow, which then influences the way the cabinets are designed, and designating an area lets you know exactly what’s supposed to happen in that space and how the cabinets will be used. Then everything designed inside those cabinets should accommodate the function of that particular area Once that is defined, we design the look of the cabinetry and finishes." - Mix up glass doors and traditional cabinets"
You can find out more information about Richard Power & Sons on their website, or catch them on Facebook to see more completed projects. You can find their showroom at Green Roads, Ballybrophy, Co Laois. 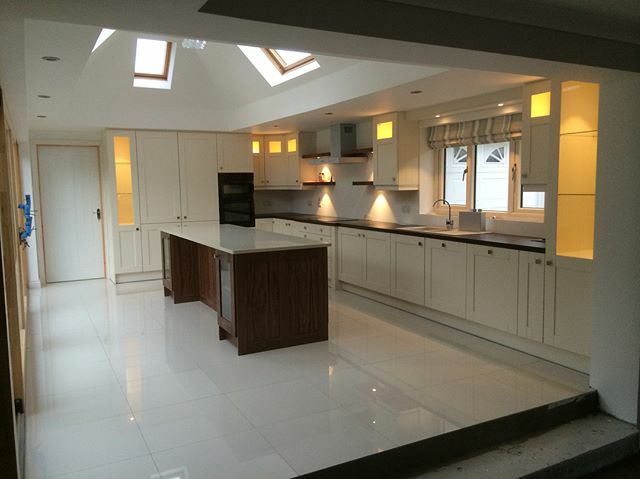 Grand Designs Kitchens and Bedrooms is run by Margaret Reilly, who has spent the last 20 years in this industry. 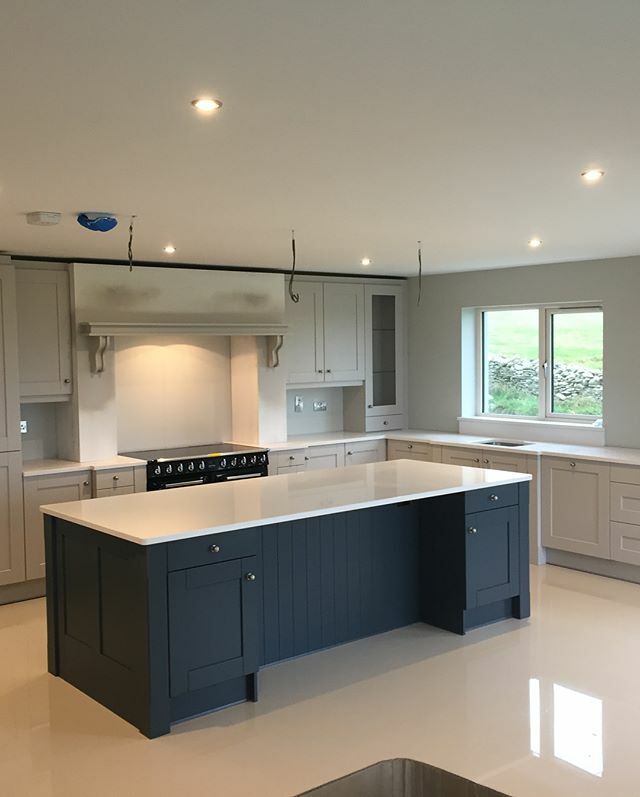 They offer a full refurbishment including all trades for your entire home, and Margaret and her team will personally design, manufacture and install kitchen, bedroom and lounge furniture in Ireland. "We stock Irish manufactured products, and German fittings, i.e wire work drawers and hinges accessories." 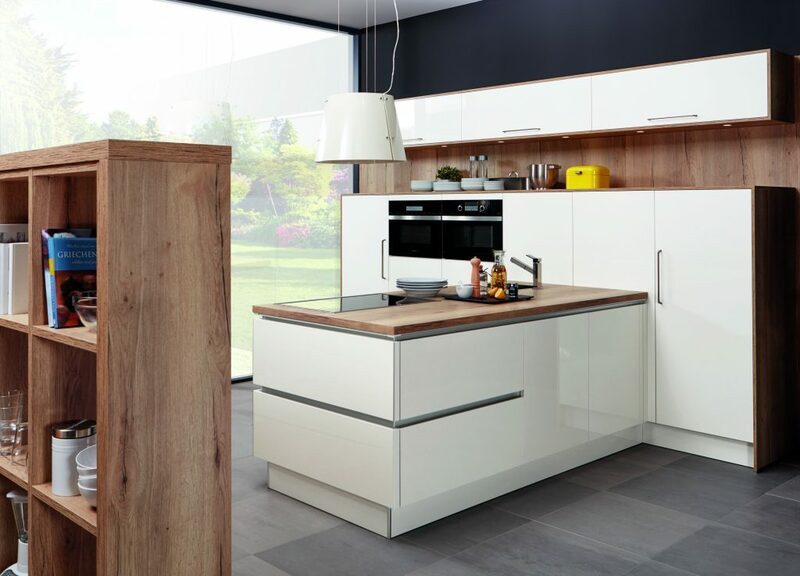 "The big trend at the moment is Shaker smooth spray finish doors, and handleless Matt & Gloss. Bringing along natural top finishes like quartz and wood." "I think if you are in the market for a new kitchen, you really need to consider your wish list and budget you would like to spend. After this it's only a matter of listening and tweaking designs until we reach the client's end result." 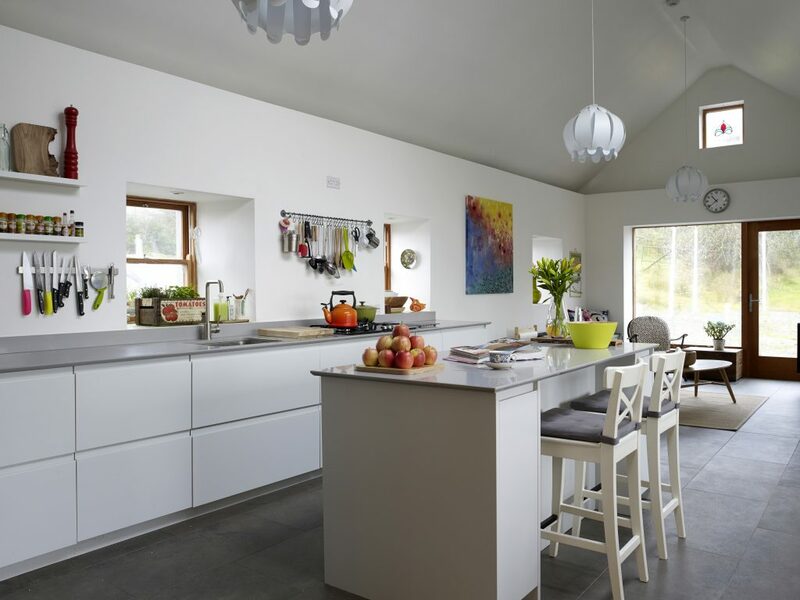 You can find out more information about Grand Designs on their website, and find their showroom at Newtownstalaban on Termonfeckin Road, Drogheda. Ornan Kitchens and Wardrobes was first established in 1998 and over the years, the business expanded, and we now have a state of the art factory and showroom, with many different styles on display. Their team’s customer focus, attention to detail, and quality workmanship have helped them gain an excellent reputation within the industry. They always tailor their approach to your kitchen design to fully suit your space and add their years of experience to ensure a beautiful finish. 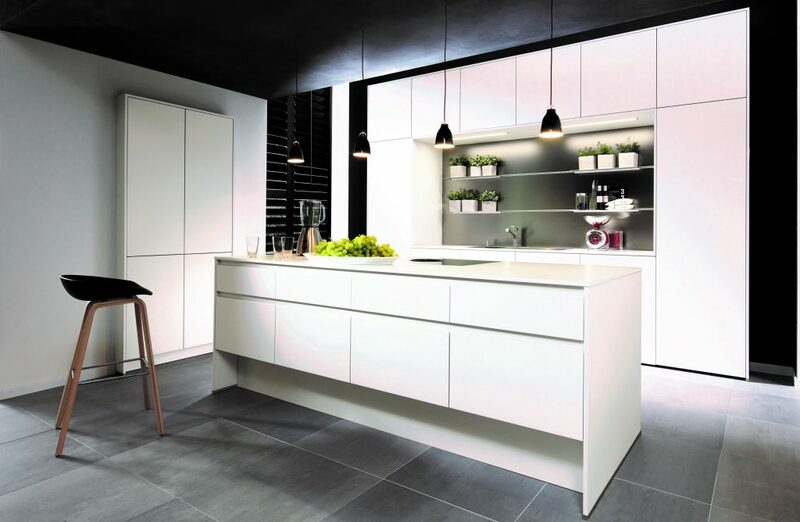 "We work mainly with the Kitchen Stori, Aisling Artisan Furniture, 3D Solutions and OS Doors brands. "Each kitchen is very individual to the end user. 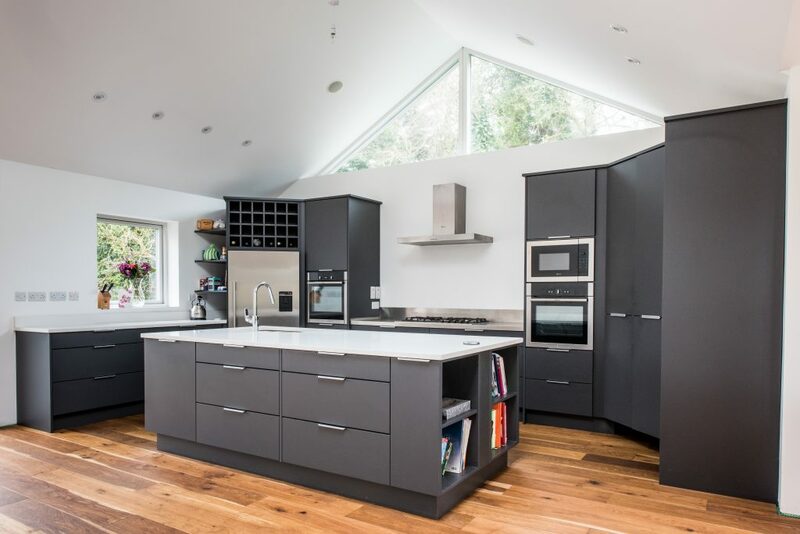 We recommend that clients consider their usable space, the amount of light in the room, and their particular needs for features such as appliances which can have a considerable impact on a kitchen design." 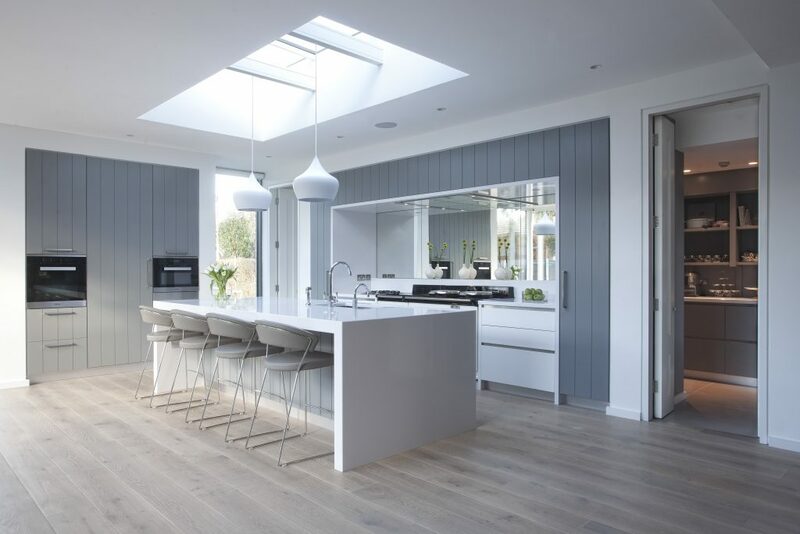 "As trends inevitably come and go, and everyone’s taste is different, we would advise clients to choose a kitchen that is appealing to them personally. Some may choose the more traditional In-Frame style, but still apply a modern twist with colour. Fans of the more minimal look can add exciting features such as an instant boiling water tap, eliminating the need for a kettle, or bring in a complementary solid wooden worktop to soften the look." 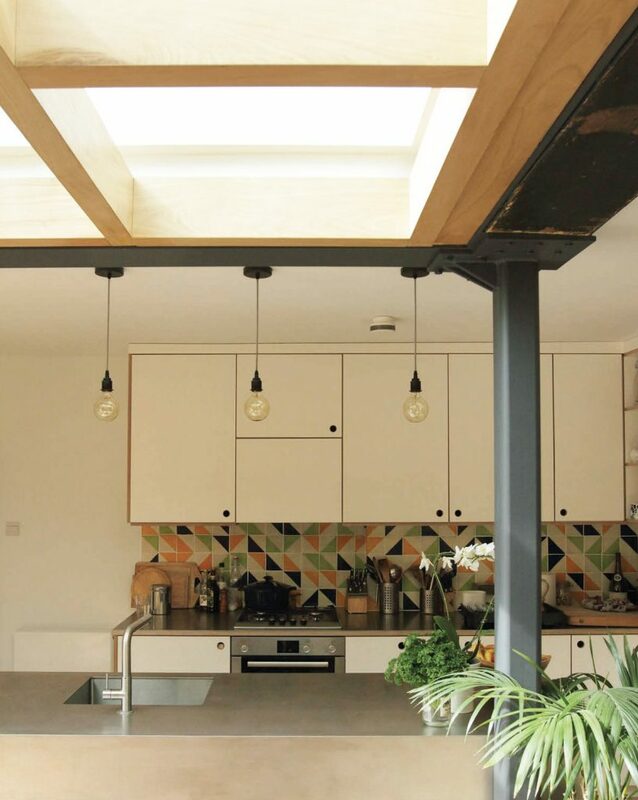 Glenwood Design was started in a shed on parents' land and grew into a purpose built workshop and office within a year. 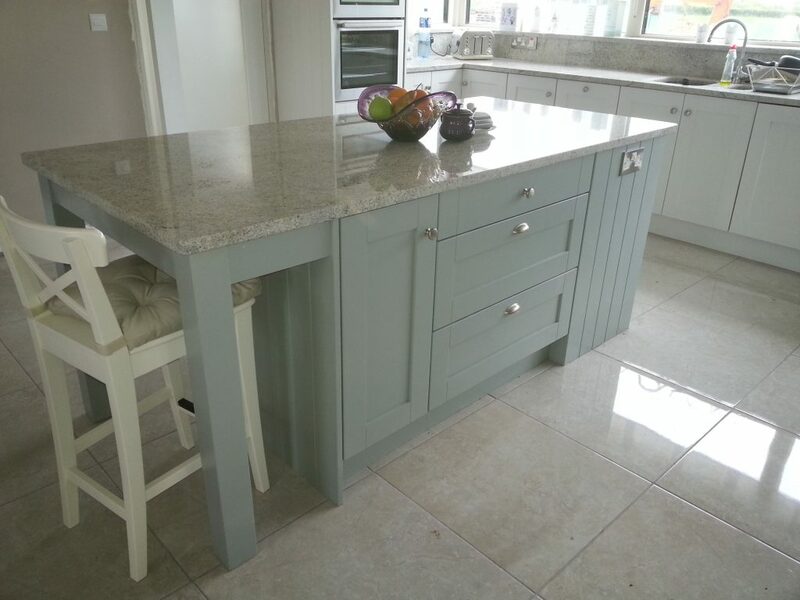 They work on bespoke kitchens and cabinetry to suit your style, and offer free design and consultations. "All kitchens are all designed, and manufactured by Glenwood Design, so each kitchen is unique and handcrafted for each individual client." "Modern high-gloss, handle-less kitchens are on trend at the moment. 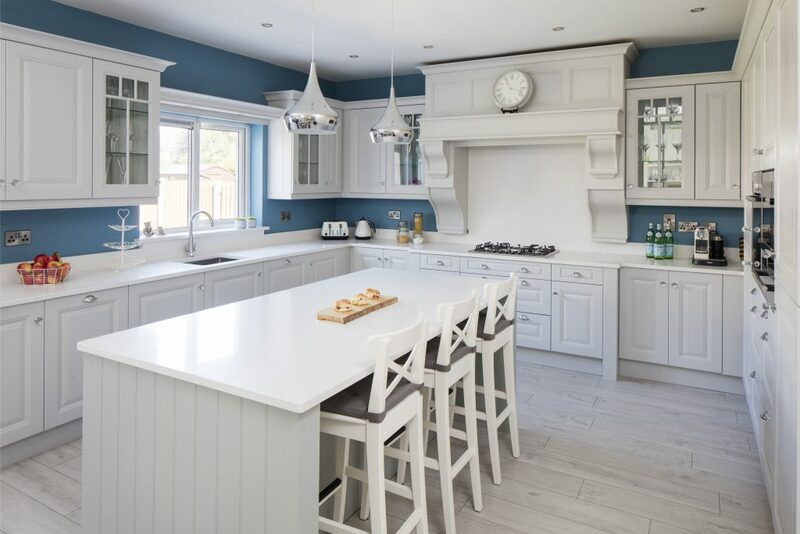 Although this is the case, the majority of my clients are looking for a fashionable, stylish, timeless kitchen, which will not look out of place in the years ahead, so many opt for painted kitchens. These can be in-frame or handless, to add modernity and style." How can people ensure they’re picking a kitchen that will last/won’t go out of style? "My clients are still looking for a wide range of styles and kitchens are always able to be updated in the future. 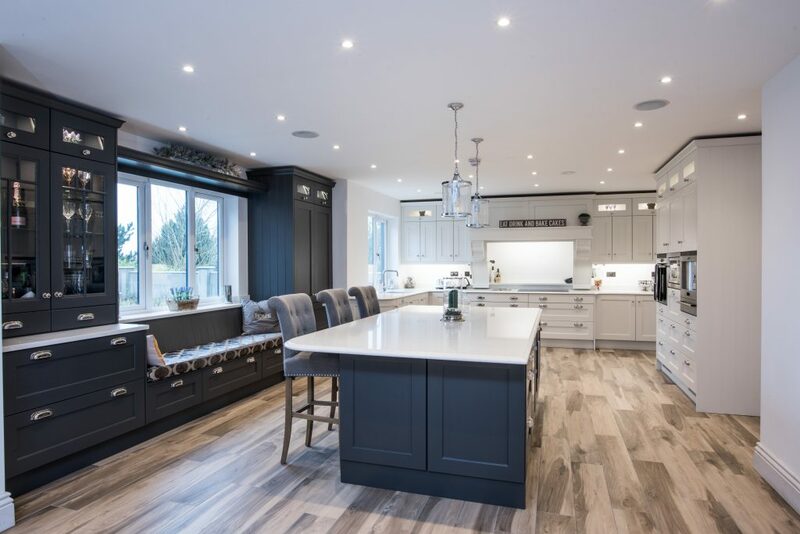 The quality of the cabinetry stands for itself in that it is possible to hand-paint our kitchens to update them, or to change the doors to bring a new fresh look, if the client wants a change." You can find out more information about Glenwood Design on their website, and you can find their showroom at Glen, Stradbally, Co Waterford. Using locally sourced high quality materials, along with talented designers and craft workers, Newcastle Design partner with you from design to construction to build the perfect kitchen, living room, bathroom or bedroom. Taking design inspiration from a wide variety of styles, they mix and meld features to help you put a personal stamp on your kitchen or room. They offer an innovative range of products to suit all tastes and lifestyles. 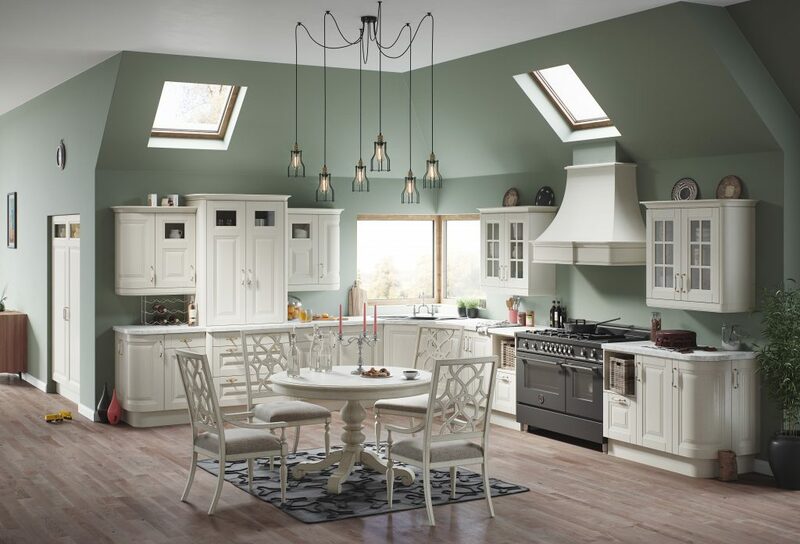 Originally based in Newcastle, Co Wicklow, they expanded in 2005 and relocated to a 17,000sq ft building Rathnew, where the best of their kitchen and furniture designs are displayed. We don’t stock any brands, all of our kitchens are handmade to order on site. If you make an enquiry with us, we'll reveal all the trends you'll need to know. You can find out more information about Newcastle Design on their website, or catch them on Facebook to see more completed projects. Find their showroom at Charvey Way, Rathnew, Co Wicklow.